For honey lovers! This container is filled with 12 pounds of Wild Flower Gruwell Apiary Raw (unfiltered and unheated) Honey. 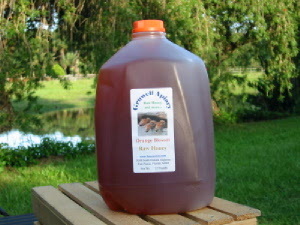 Enjoy the benefits of raw honey from the Treasure Coast of Sunny Florida.